Any organized golf club, golf course or golf club without real estate, located within the Commonwealth of Pennsylvania with at least 10 individual members who have a reasonable and regular opportunity to play golf with each other; are able personally to return scores and score cards for handicap posting and elect officers to supervise golf activities and maintain the integrity of the USGA Handicap System. You can join the Pennsylvania Golf Association by establishing a USGA Handicap Index at a PAGA Member Club. Visit the golf professional at a course near where you work or live that is a dues paying member of the Pennsylvania Golf Association. It is necessary to establish a "home" course so that your handicap revisions can be sent to that facility for you. You can still play and post your scores wherever you want, but your handicap records will be maintained at your "home" club. Your golf professional can help you establish a handicap and start posting your scores. Started in 2007, memberships are available for those individuals who wish to compete in Pennsylvania's State Championships and are residents of the Commonwealth of Pennsylvania. By joining the Pennsylvania Golf Association as an individual, you will receive access to our championships and many tangible items, but most importantly you will be supporting golf in the Commonwealth of Pennsylvania. All membership levels are eligible for competitions. Each level above the Individual Membership receives additional favors. Please go to www.keystonegolfpartners.org to view the favors. 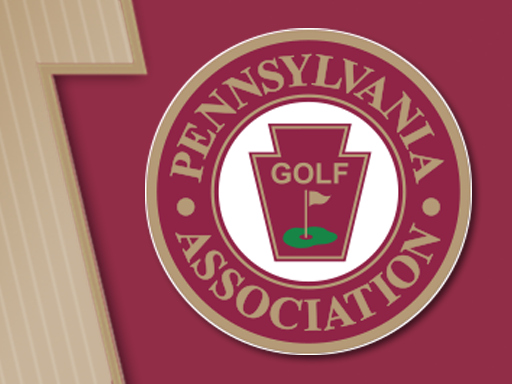 The Pennsylvania Golf Association has created this individual membership category to provide championship access to golfers throughout the commonwealth who are not members of a PAGA member club. These individuals must still obtain a valid USGA handicap. To be eligible for events, individual members MUST be valid residents of Pennsylvania.